Odisha is a very rich state - both historically, archeologically, culturally and with its mineral wealth. 2 months ago, my poem about Odisha Guess The Place!, and my Twitter Odisha Quiz made me realize that the OQ (Odisha Quotient) needs to be improved. 2 weeks ago, when to write my Indispire Story, I was looking for Silver Filigree of Odisha, I discovered to my dismay that the Odisha State cooperative Handicrafts Corporation, Utkalika, is yet to offer online purchase of such coveted crafts. Ensuring online purchase would ensure that people all over the world would get to access and order our textiles & handicrafts that would mean a lot for our Tourism. I felt this is like a Genie - "Your Wish Is My Command!" A website for the artists of Raghurajpur Village is a great step to help and empower them. We have visited the Shri Jagannath Temple in Puri, Odisha where the interior walls have such amazing hand-painted art. My Mom, who had great knowledge of Odisha culture & history, always answered queries patiently and explained the significance every time we went. The above is one of the first Pattachitra I saw in my life when I was a kid. The talented Raghurajpur artists in Puri, Odisha, India boast of incredible arts and crafts with motifs based on mythology, religion, folklore etc dating back to the 5th Century BC. Despite their hardwork, blood, sweat & toil of many days and months by overcoming obstacles, sacrifices & challenges, the artists do not earn their true worth. Middlemen and touts pick up their intricate masterpieces at cheap rates and sell higher, thereby earning hefty profits. Modern technology can greatly help to provide the traditional craft and the skilled artists of Raghurajpur a much-needed platform to showcase their art, promote and sell it without the interference of middlemen. A new website for Raghurajpur village that will profile all the families with their contact details and list their art work in their individual galleries, will help them to interact directly with buyers and interested people around the globe. We can also contribute & share this info by writing Blog-Posts and inform all about #OdishaPattachitra. Contact here to order Pattachitra & other arts & crafts of Odisha. Remember- Every share, tweet, Post counts..
Beautiful and inspiring post, Anita. I wish this post reaches out to the maximum people possible. I know there's a huge time constraint but I nominated you for Arti's http://www.myyatradiary.com/2014/02/my-most-memorable-memento-contest.html. Thank you so much, Sangeeta. Hope we can make a difference. You are so right about the east being neglected. Great effort through this post. I hope the attempt is successful. That's the sad reality, Indrani. Thanks for the appreciation. Yes, may this noble cause be a success. Thanks Nikhil. Glad you liked it. Do support the cause. Very nice attempt to showcase True Odisha! Keep spreading the good word, Anita! Odisha ki shan. A well written post Anita. Kudos and keep writing. Wow....truly inspiring and superb post. Yes Odisha inspite of her great natural beauty & rich, glorious culture is far under-rated. We must write more about Odishan marvels so that OQ truly increases. OQ - both knowledge and awareness needs to be improved. Architecture & natural beauty needs to be promoted. This is such a lovely post, Anita. I can see your empathy and enthusiasm for the cause come through. And the pics are just lovely! Hope our words and actions can truly make a difference. 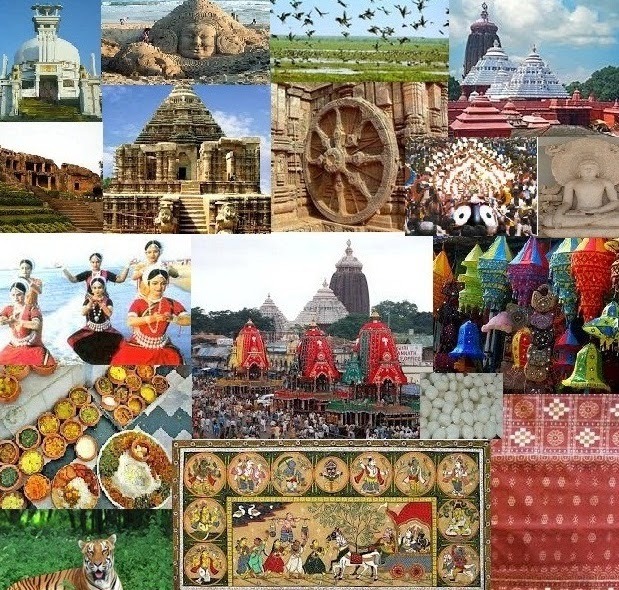 The pics are courtesy the Odisha Tourism, Shri Jagannath Temple & DoRight websites. Awesome post for a great cause Anita..Let us hope a new sun dawns for the artists of Raghurajapur through these efforts..
Hope our collective effort bears fruit & we can spread Tech-colors in Raghurajpur. Delighted it appealed to you.